Old News! Female Clerks in Treasury! The Library of Congress jointly sponsors a historic newspaper database. Get your old news for the years 1789 through 1924. Free. Describing the general public's first impression of events adds another dimension to legal scholarship. Newspapers give context to events like reluctant progress in women's employment rights. Newspaper accounts also help complete the picture of the fourth branch of government's influence. Available in old news: summaries of major historic cases, accounts of historic elections, reports of speeches from important figures, interpretations of economic developments, enthusiasm for then-new inventions. There are 318,605 results for pages published in Washington state. This database has advanced search options: proximity terms, phrase searching, and Boolean logic. A researcher can limit by year or date range (m/d/y – m/d/y). Other limiters include publication location, newspaper title, and front page only/specific page. A June 2016 report by the U.S. Merit Systems Protection Board dealt with a very timely topic. The report analyzes these statutes and discusses significant cases under these laws. When Professors Kathryn Watts and Sanne Knudsen announced a new law school course on presidential power for this quarter, the course quickly filled. But the interest wasn't restricted to law students: faculty and students from other UW departments, alumni, and community members were also eager to learn about the law of presidential power. Professors Knudsen and Watts couldn't let everyone into the class, but they could ask the library to help them share their reading list. Our new Presidential Power guide opens up their course readings to anyone who's interested, along with a few additional resources that will be useful to people studying the topic. Although we are in the doldrums of winter, Washington workers can expect a little more silver lining their pockets this year. Washington's new minimum wage law went into effect on January 1, 2017, raising wages from $9.47 to $11.00. This increase was a result of Initiative 1433 which passed with over 57% of the vote in November. The law provides for a gradual increase to $13.50 by 2021, then there will be a yearly cost of living adjustment based on the National Consumer Price Index for Urban Wage Earners and Clerical Workers (CPI-W). The City of Seattle guarantees even higher wages for workers. Minimum wage for Seattle is based primarily on two factors: size of the company and whether the employer pays towards medical benefits. For example, a worker at a company with over 500 employees where the employer does not contribute $2 towards medical benefits will earn $15/hr in 2017. 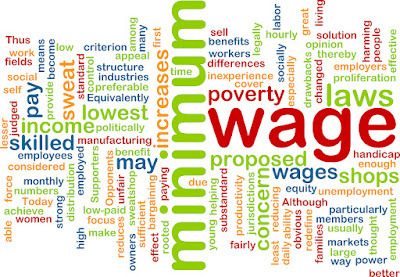 This is one of the highest minimum wages in the country; but is it enough? Many argue it's not even close, while others predict dire consequences with high minimum wages. 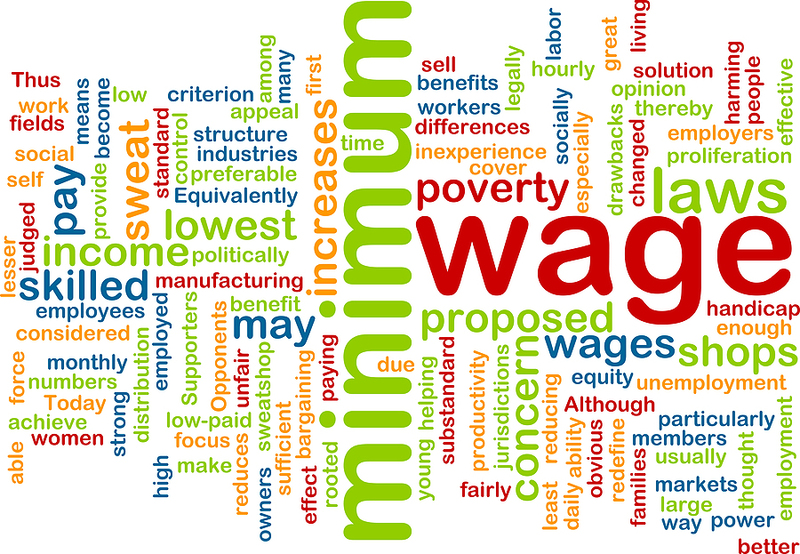 How did we get here and has anything changed in the last 80 years since the first minimum wage? Tomorrow afternoon Prof. Ron Collins is hosting Speech and Counter Speech: Rights & Responsibilities. Sponsored by the UW's Race & Equity Initiative, the discussion will feature Nadine Strossen, a professor from New York Law School and long-time president of the ACLU, and Michele Storms, assistant director of the ACLU of Washington, formerly assistant dean here at UW Law. To complement the program, Prof. Collins asked the library to compile a selected list of local social justice organizations. Some of the organizations, like the ACLU of Washington, Legal Voice, and the Northwest Immigrant Rights Project, use the tools of the law to further their missions. Others are more grassroots. We hope the list will be useful to the campus community.